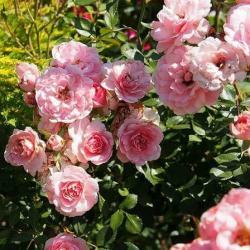 I would like to receive occasional information and updates from The Rose Ball and jumblebee. Please join us for a night of entertainment, dinner and dancing from 7:30pm-1 am on Saturday 9th June 2018 at Poulton Fields Farm, Poulton, Gloucestershire . Bidding on this auction is available online until 12 noon on Friday 8th June, 2018. If you are unable to attend the Ball, but are interested in bidding on any of the items, you can still do so by placing a proxy (or maximum) bid on this page. After online bidding closes, your maximum bid will be carried over to the Ball on Saturday 9th June, 2018 where bidding will continue on your behalf up to your maximum. If you are still the highest bidder at the end of the evening, you will be contacted the following week to let you know. International designer Selina Blow was born in Gloucestershire England, from mixed heritage. 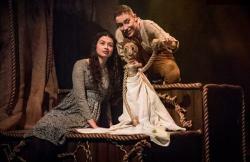 Her Father English and her Mother Sri Lankan, Selina’s Grandfather was an Arts & Crafts Architect, Detmar Blow. Blow is much influenced by her Sri Lankan background appreciating a love for colour and textiles. Blow was mainly educated in England, she moved to New York in 1990, working for several publications in the fashion department, where she did her first collection based on Ivan the Terrible and continued to build up her market in America, Japan and Europe. 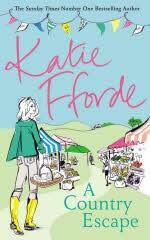 Blow is well known for her use of textiles and her unabashed approach of clashing colours and fabrics. Classic signature ‘Selina Blow’ piece with covered buttons, pockets set in seam and a single back vent. This product can be made shorter. Daisy Knights is an award winning jewellery designer who specialises in bespoke jewellery in recycled gold and ethically sourced gems. Daisy also shows her ready to wear collections at London Fashion Week and these affordable recycled precious metal pieces are available from Daisy Knights.com. Daisy has a host of celebrity fans who wear her creations including Rita Ora and Cara Delevingne and her jewellery can regularly be spotted in fashion press. Designed to collect, layer and cherish forever and pass on as future heirlooms, each item is thoughtfully designed and hand crafted by master craftsmen and Daisy herself in recycled sterling silver or recycled gold. 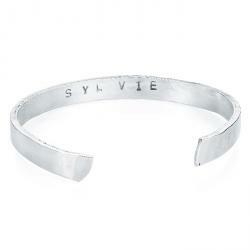 Daisy is offering a sterling silver cuff with whatever personal message you like inside. KIM BAILEY RACING - A morning on the Gallops with National Hunt Trainer Kim Bailey, followed by Breakfast for up to Four People. Dates to be organised to suit both parties and please note it does not include the Cheltenham Festival in March. Based at Thorndale Farm near Cheltenham you will enjoy a fun and entertaining morning on the gallops with Grand National, Cheltenham Gold Cup and Champion Hurdle winning trainer Kim Bailey. 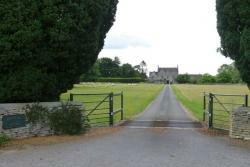 Includes a trip to the gallops to watch the National Hunt horses being put through their paces followed by an informative stable tour with Kim Bailey, after which your party can enjoy a delicious cooked breakfast in the Owners’ Room. Edward Notley Kent is a freelance instructor. Having 31+ years shooting experience, he enjoys passing on shooting etiquette and techniques to the beginner, novice and experienced shot in clay and game shooting. In his debut Formula One season, Lance broke two records by becoming the “youngest rookie podium finisher” with a third-place finish at the Azerbaijan Grand Prix, as well as becoming the “youngest front-row starter”, after starting second in the Italian Grand Prix. 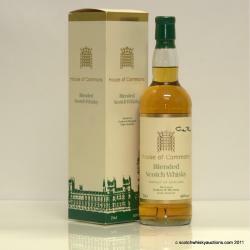 Minimum bid is £1100 (Bid increments are £100). 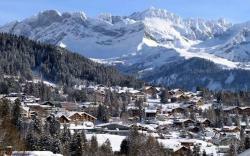 Luxury Apartment for skiing holiday near Villars, Switzerland - Sleeps 6. The apartment has a bathroom and a shower room. There is a shared sauna, a ping pong room and shared laundry facilities. The balcony runs the length of the apartment with views onto the mountains of the national park. 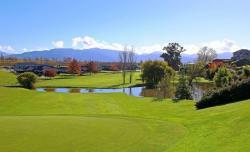 1 hour and 20 minutes from Geneva airport. 800 metres from telecabine up to Les Chauds or take a tram to Villars. Artesian baths 15 minutes away. Barboleuse has an ice rink, many excellent restaurants, and is also home to one of Switzerland’s most famous bakeries. Beehive Cottage is a beautifully presented, Cotswold stone cottage, in the picturesque village of Poulton, near Cirencester. The interior designer owner has combined country style with modern facilities to create an inviting and elegant cottage, perfect for families or friends seeking an idyllic holiday in the Cotswolds. The cottage sleeps a maximum of 6+1 people, in three bedrooms (with the +1 being on a day bed in a twin bedroom), with two bathrooms. There is a beautiful, enclosed garden and off-street parking for two cars, with free on street parking readily available. Beehive Cottage is an ideal retreat for friends, couples or a family, looking for a luxurious holiday in a peaceful Cotswold village. Explore the glorious Yorkshire Dales from this base in historic Richmond. Perfect for walking, cycling or touring by car, you can discover all of the wild northern dales (Swaledale, Wensleydale, Arkengarthdale) within the Yorkshire Dales National Park. Eastern areas of Lake District, and to the north Teesdale are also accessible within an hour’s drive. The House, is a 19th century stone built house in a small terrace close to the centre of Richmond. 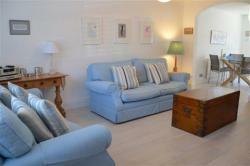 It has been fully renovated, with central heating, and will sleep up to 6 in 3 bedrooms (1 very small! ), two of which have their own en-suite bathroom. 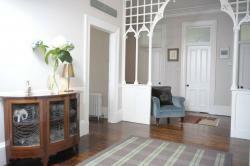 There is a omfortable and spacious lounge, a breakfast room and a recently upgraded kitchen. The town centre of Richmond is within 5 minutes’ easy walk from the house. Visit the historic Norman castle, with its spectacular views over the River Swale, enjoy the lively traditional market place, and the boutique shops, café and cinema in the renovated Station. Richmond has many good places to eat, from traditional pubs (with Yorkshire sized portions), to individual restaurants covering everything from curry to Italian. Richmond is set on the lower reaches of the River Swale. Tracing the river back up Swaledale will bring you to a myriad of small, picturesque villages, all within 30-40 minutes drive. Reeth is the largest of the villages, but keep going up the dale and you will find Healaugh, Gunnerside, Muker and Keld, all alongside the river with its many falls, set in a breathtaking landscape. This is brilliant walking country, whether you want to go high, and scramble up to the tops of the fells (Great Shunner Fell is 716m), or stay low alongside the river. Alternatively head 30 minutes further south into Wensleydale, and explore the market towns of Leyburn and Hawes and the spectacular Hardraw and Aysgarth and waterfalls. Or go north, and discover wild Teesdale, with the even more spectacular High Force. 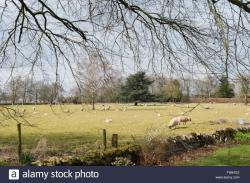 A week is not really sufficient to explore all of the fabulous countryside in this unspoilt part of northern England. 4 Sandpipers is in the heart of the sailing village of Seaview, very close to the shops and a couple of minutes walk from the sea. 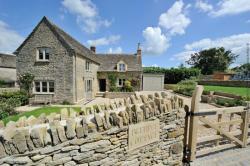 The house has recently been refurbished to a high standard and has a beautiful new bathroom and kitchen. It sleeps 4 in two twin bedded rooms. It is a perfect holiday home. Highly recommended. 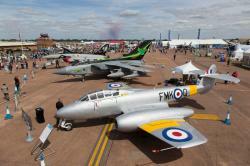 Two Adult Tickets for the Royal International Air Tattoo. Valid for Sunday 15th July 2018 All accompanied under-18s are admitted FREE of charge in 2018. Free parking for ticket holders. 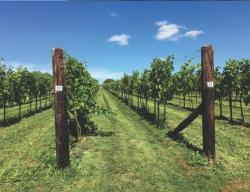 A tour for 4 people at the beautiful, award winning vineyard here in Poulton. 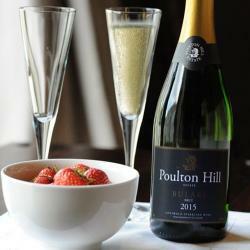 Our 8,800 vines have been planted on the warm and sunny south-facing slopes of Poulton Hill Estate. These vines can produce up to 20,000 bottles of wine a year and we also produce English spirits, from grapes harvested by hand. These range from the white Bacchus, Seyval Blanc and Phoenix to the red Pinot Noir, Regent and Rondo. The grape varieties complement our climate, geography and soil perfectly. These are carefully blended and balanced by our experienced contract winemaker and distiller to create our range of white, rosé and sparkling wines and spirits. grown here in the village. A Mixed case of fine wines. 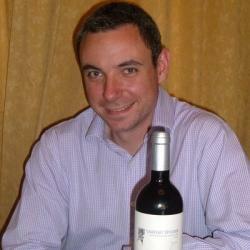 Chamberlain Wines was founded in 2008 by Mark Chamberlain, who now lives in Poulton with his family. Chamberlain wines has provided all the wines for The Rose Ball. 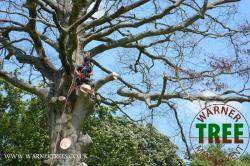 Mark offers a bespoke service to customers. So if you’re looking for great value everyday wine, to try something different, or to build a cellar of classic wine, Mark can help. 1/4 cow for freezer from this gorgeous plot of prime Cotswold farmland. The beast will be divided up so you will have a 1/4 of all the cuts e.g 1/4 the steaks, 1/4 the roasting joints 1/4 the stewing steaks ect. 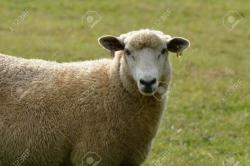 One Mutton (sheep over one year old) for the freezer, cut up to your requirements. Alexandra makes vibrant and playful artwork in a variety of mediums. Originally a figurative artist she now concentrates entirely on abstracts, preferring an intuitive approach over an analytical one. She likes to experiment and innovate, currently incorporating ‘Suminagashi’ (Japanese water-marbling) into her techniques and processes. Her love of oriental art and culture has been a great contributing factor to her artistic sensibilities and the foundation of her colour choices and stylistic approach. Other sources of inspiration include the ‘abstracts’ present in nature, such as in geology, microscopic photography and marine life. 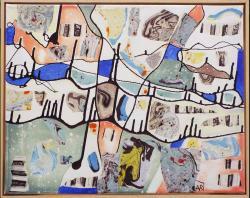 She lives in Cheltenham with her son and works from her studio at home. My passion for chocolate was born of a love of adventure. That spirit took me to Venezuela, led me to buy Hacienda El Tesoro high in the cloud forest, and remains with me as my quest to make great chocolate takes me on the cacao trail around the Equator into the forests of the world, in search of the finest beans. My chocolate is all about flavour. Great cacaos are like fine wines, each one with its own stunningly individual flavour born of its specific genetics, soil and climate. One might taste naturally of nuts, another of summer fruits. It is to capture these subtle notes and unique flavours that I make all my chocolate from the bean- which is called bean to bar chocolate! 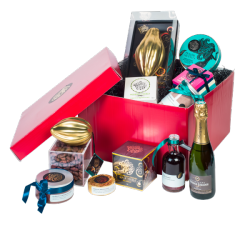 I buy single estate cacaos direct from the farmers, roast them in antique ball roasters and make them into chocolate using just raw cane sugar and natural cocoa butter – no soya lecithin, no vanilla, nothing that gets in the way of the flavour of the bean. The first thing I made with my own cacao was hot chocolate. Adding water and a little hot chocolate made with single origin cacaohoney, it blew my mind. I want everyone to experience some of the awakening I did. Few things give me more pleasure than watching someone gasping with delight as the chocolate melts and the realisation dawns that all that flavour comes simply from the cacao. 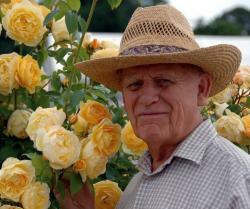 David Austin is the king of rose growers and they have selected a rose especially for The Rose Ball. It would be lovely if every table places a bid online and takes home the roses from your own table. a brewery tour & tasting for two! Just so you know you’ll be in good hands, here are a few recent accolades for Corinium: Runner Up Skilled Trader/Supplier of the Year, Cirencester Chamber of Commerce Business Awards 2018, Winner Strong Bitter of the Year, Gloucestershire CAMRA Cotswold Beer Festival 2017, Beer of the Festival (Runner-Up) Swindon CAMRA Beer Festival 2017; (Runner-Up) Gloucester CAMRA Beer & Cider Festival 2017; (1st place) Highly Commended Best Ale, Beer or Cider, Cotswold Life Food & Drink Awards 2016. 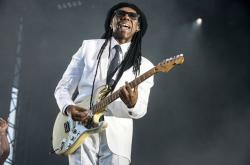 Nile Rodgers, the American record producer, songwriter, musician, composer, arranger and guitarist, is best known as the lead guitarist and co-founding member of the band Chic, one of the most successful groups of the disco era. He is famed for his "chucking" rhythm guitar style and last year he was inducted into the Rock and Roll Hall of Fame and received an Award for Musical Excellence. He and Chic, with Soul 11 Soul as special guests, will be performing at Blenheim Palace on 14th June. The Rose Ball has been offered two tickets to the evening performance with access to the sound check in the afternoon where you will be able to listen to the band rehearse for the show in the evening.This is a unique opportunity. For anyone whose clubbing anthem was ‘Le Freak’ this is a must! If necessary James will issue formal Terms of Engagement to confirm the basis upon which the professional expertise is being offered to comply with the compulsory professional indemnity policy and with the rules and regulations of the Royal Institution of Chartered Surveyors. A rare insight into the design and manufacturing of an F1 car. 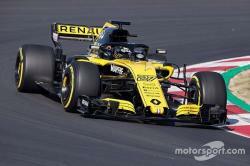 This prize is the opportunity for two people to have a technical Centre tour at Renault Sport's Enstone headquarters. Please contact Sophie Baker - sophie.baker@ukrenaultsportracing.com to arrange a suitable date for the tour. 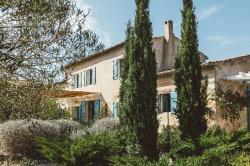 Halcyon is a lovingly restored, four en-suite bedroom, Tuscan style farmhouse. The villa is set over two floors, upstairs are two super king double bedrooms the master and main guests rooms. On the ground floor are two further double/twin bedrooms, a wonderful large kitchen opening to the outside dining area, a separate living room sofa and snug area and a shaded outside living area. From the terraced sofa area, you look over the olive groves and out to sea with the large pebble edged pool set just in front. To the side of the house, are two areas given over to lawn shaded by almond and fig trees, a rarity in this climate, especially great if you have younger children in the party. There is a small outbuilding by the pool which contains a guest loo and a shower. Halcyon has that rare timeless quality you won’t find in a contemporary villa. A perfect balance to your summer holiday, enjoy evenings on the terrace and after your early morning swim, take a wander around the garden to see if you can spot the almond, fig, lemon and pomegranate trees! Potential career or a lifelong passion this is a one off opportunity which Silverback has never given before and is not to be missed. Spend a day at Silverback productions in Bristol - home to producers of some of the world's most famous wildlife programmes - many presented by Sir David Attenborough. Director Alistair Fothergill and Executive Producer Huw Cordey, have between them devised and worked on multi award winning landmark series including Planet Earth, Blue Planet, Frozen Planet, South Pacific and The Hunt. The auction prize is a one off chance to spend the day in the Silverback studios watching the editing process as a major new wildlife series is put together for Netflix. 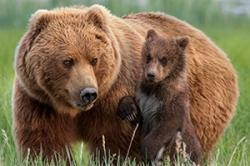 The eight part series, 'Our Planet' has been made in partnership with WWF and will be shown in 2019. The prize also includes lunch with Executive Producer Huw Cordey who has spent nearly 30 years in some of the world's most inhospitable and beautiful places filming wildlife. There is very little he doesn't know about animal behaviours. The prize is a full day out for 2 people hosted by rugby supremo Simon Collyer Bristow at Twickenham for an England Autumn International on either 3/11 (v South Africa) or 17/11 (v Japan). The day will include pre-match drinks in the Members’ Bar, lunch (incl. wine) in the Spirit of Rugby restaurant, best match seats and post-match drinks. 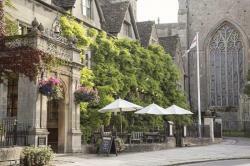 The Kings Head Hotel is an elegant boutique hotel with 46 stylish bedrooms and six one-bedroom apartments, a unique subterranean Spa and relaxed British dining. 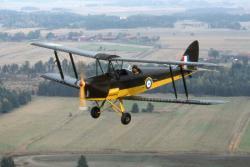 Alexander Norman has been flying Tiger Moths for many years and will take the winner for a bespoke tour of the Cotswolds. 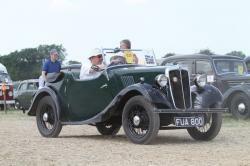 A rare and fabulous opportunity for enthusiasts. Award winning journalist Juliet Bremner, one of ITN’s chief news correspondents for many years, will spend the afternoon with a maximum of 4 people. She will show you around the newsroom and explain how the whole news operation works, then you can meet the newsreaders and watch the Evening News being edited and transmitted from the gallery. Great tickets and VIP backstage passes for two people for the Us and Them tour this summer. Any performance in Europe (excluding Hyde Park). 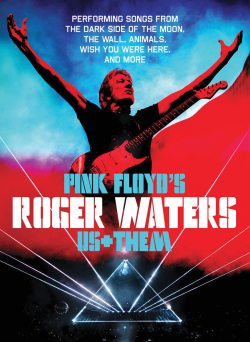 Roger will be performing songs from The Dark Side of the Moon, The Wall, Animals, and Wish You Were Here, and more. Two nights at award winning luxury boutique hotel Hacidenda de San Rafael in the beautiful countryside outside Seville and one night in the middle of Seville at sister hotel Corral del Rey (or the other way round). 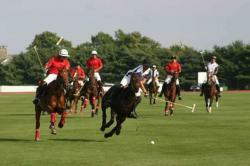 The prize also includes Easyjet flights from London Gatwick and car hire. 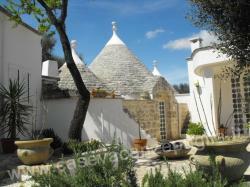 A lovely trullo, loving restored by its English owners and extremely comfortable and spacious. The Trullo is situated down a little rural country lane and sits in the middle of open fields, orchards and little vineyards, and is just 5 km from Ostuni, in the heart of the Itria Valley. It is surrounded by an acre of olive, pomegranate, almond, apple, pear, cherry and fig trees. There is a pool, a covered Pergola for outdoor dining, four bedrooms, (3 doubles, one twin) two bathrooms, (and outdoor shower) , large kitchen, sitting room with open log fire and dining room. Wi – Fi. 22kms from the sea.